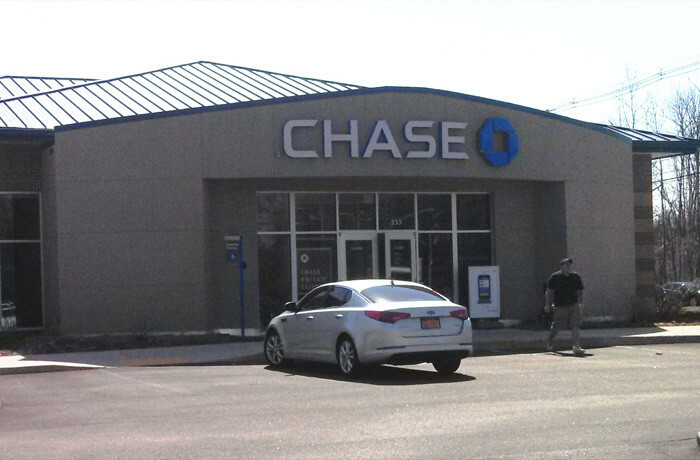 Chase Bank - Ira M. Emanuel, P.C. New bank branch to replace existing branch on site in special overlay zoning district. The site plan required keeping the old branch operating while the new building was built in the parking lot. Approvals include subdivision, special permit, site plan, variances. Final Approval Granted July 28, 2010.